Reflection is a mechanism for discovering data about a program at run-time. The most basic thing you usually do when doing reflective programming is to get a Class object. Once you have a Class object instance, you can obtain all sorts of information about the class and even manipulate the class. The ancestors of a given class are referred to as that class’s superclasses. Using reflection, you can determine all of the ancestors of a given class. 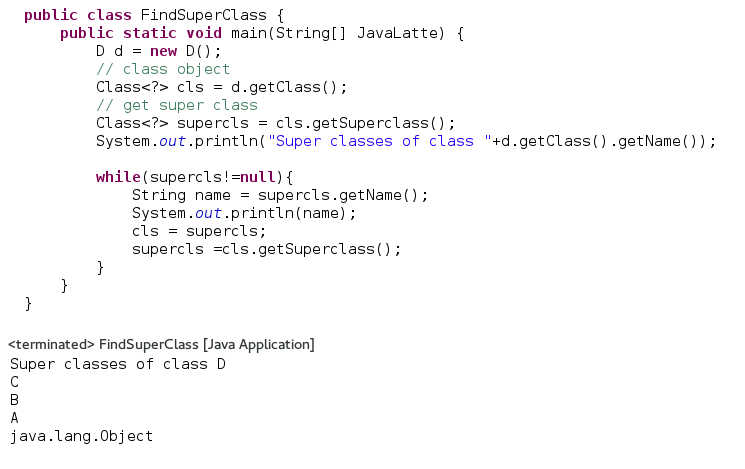 After you've obtained a Class object, you can use the getSuperclass() method to get the class’s superclass if one exists. If a superclass exists, a Class object will be returned. If there is not a superclass, this method will return null. 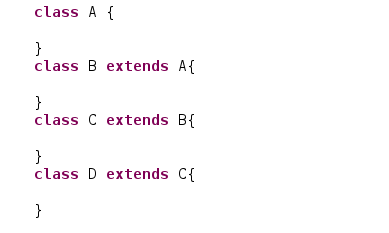 Remember that Java supports only single inheritance, so for any given class, there can be only one superclass. Actually to be clear, there can be only one direct superclass.Technically, all ancestor classes are considered to be superclasses of a given class.To retrieve all ancestor superclasses, you would recursively call the getSuperclass() method on each Class object that is returned. 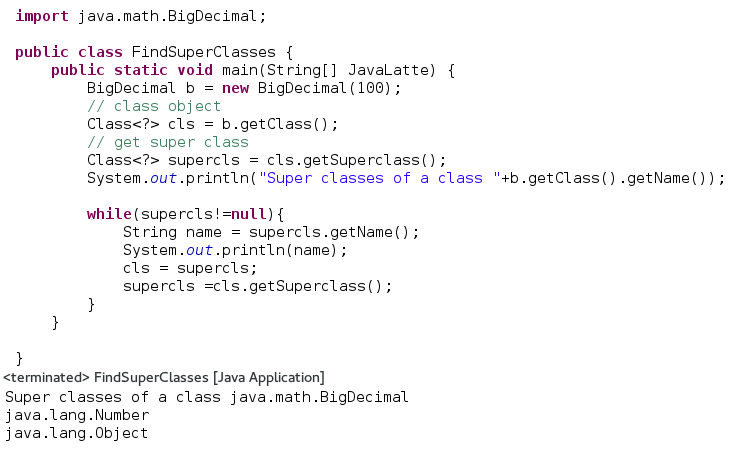 Example 2 In this example, we try to find the super classes of BigDecimal class.